The Overall Salary Survey Game Dev (CIS) 2017 was conducted through an online ad hoc survey in which participants were anonymous. We polled 836 Russian speaking specialists that work at game development industry and were mostly CIS residents (97.4%). The main groups of respondents were artists (23.4%), developers (16.4%), game designers (15.1%), project managers (10.4%), top managers (8.6%) and QA specialists (5.6%). 90% of respondents were aged 35 or less. 78.2% of participants worked for established companies on a full-time basis. 36.1% of them were female. The median average net annual salary earned by female respondents was $13,200 – less than $4,800 behind the male result of $18,000. 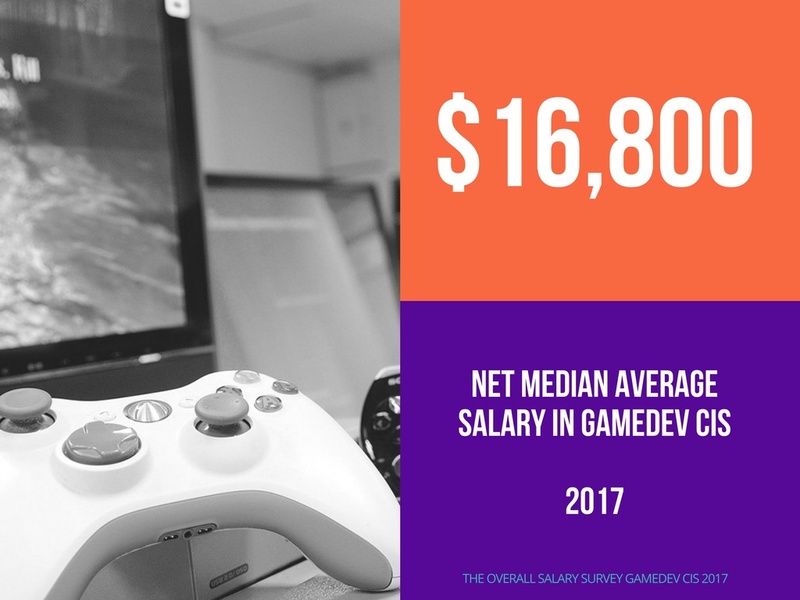 Game professionals in CIS region made $16,800 on net median average last year. The average gap between the earned and the wished salary topped 23%. The highest wages were in Belarus ($18,000). Then went Russia ($16,800) and Ukraine ($14,400). However, wages in Moscow ($21,600) were significantly above the other Russian cities ($12,000). 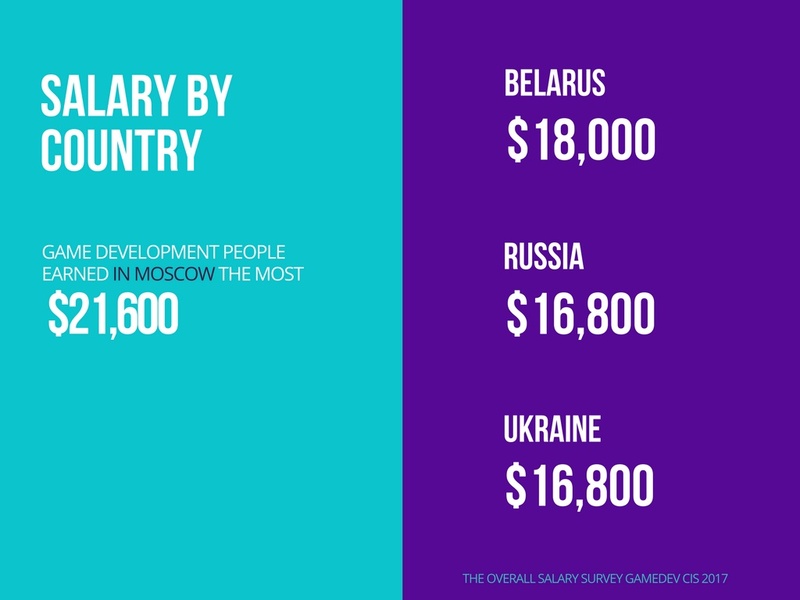 So, game development people could earn in Moscow the most. The highest earnings in the industry made top managers with $39,000. Then went server administrators (DevOps) with $30,000. The game programmers and project managers shared the third place with $24,000. Lower earnings were in community & support ($13,000), art ($12,000), game design ($12,000) and QA ($9,360). As for the game designers, those of them who worked on Adventure & Exploration got $15,600. The rest earned less – from $9,768 in Slots to $15,000 in Simulation. We traced the correlation between eNPS (Employee Net Promoter Score) and the median salary, and found that adding every 122 dollars to monthly salary could improve employee engagement and retention by one point up. In February 2018 the company launched the next survey. Its results will be available at the end of May – early July.